Definition: Acatalasia (also called acatalasemia, or Takahara’s disease) is a deficiency of the enzyme catalase, is a relatively benign condition in which the substrate, hydrogen peroxide, may accumulate. Many patients with acatalasia are asymptomatic, while some develop mouth sores. Catalase breaks down hydrogen peroxide in cells into water and oxygen. Low levels of catalase can cause hydrogen peroxide to build up, causing damage to cells. The disorder is usually asymptomatic but may be associated with oral ulcerations and gangrene, or diabetes mellitus and atherosclerosis in certain populations. The disorder has been most frequently reported in Japanese and Korean populations; its estimated frequency in Japan is approximately 2 in 100,000. 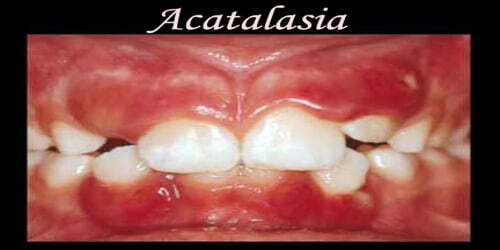 Many patients with acatalasia are asymptomatic, while some develop mouth sores. Acatalasia (acatalasemia, catalase deficiency) is a rare genetic condition displaying a pattern of autosomal recessive inheritance. The disorder is usually asymptomatic but may be associated with oral ulcerations and gangrene, or diabetes mellitus and atherosclerosis in certain populations. Transmission is autosomal recessive. It is often characterized by infection of the gums. Though usually asymptomatic, a syndrome of oral ulcerations and gangrene may be present. There are two variants: Japanese ( Takahara disease ) and Swiss (asymptomatic). Treatment includes surgery, tooth extraction, and antimicrobial therapy. Presentation and Symptoms of Acatalasia: The disorder is relatively benign, although it causes an increased incidence of oral ulcers, and can under rare circumstances lead to gangrene. Symptoms primary affects children. The cause of development of Acatalasia (or Acatalasemia) is unknown It is reportedly a genetic disorder that is inherited in an autosomal recessive manner. Acatalasia is often the result of mutations in both copies of the CAT gene which codes for the enzyme catalase. There are multiple types of mutation that can cause this condition. Inheriting a single CAT mutation results in hypocatalasia, in which catalase levels are reduced, but still at functional levels. The disorder is usually asymptomatic but may be associated with oral ulcerations and gangrene, or diabetes mellitus and atherosclerosis in certain populations. In addition to diabetes mellitus, atherosclerosis, Wilms tumor, and aniridia can be associated with acatalasia. In patients with acatalasia, the high levels of hydrogen peroxide may lead to methemoglobinemia. This may be a particular concern for acatalasemic patients undergoing uric acid oxidase treatment during chemotherapy because this can result in very high concentrations of hydrogen peroxide. In parts of Japan, this condition has been found in approximately 1.4% of people. Researchers estimate that the condition occurs in 1 in 20,000 people in Hungary and Switzerland. Diagnosis and Treatment of Acatalasia: In 1948, Dr. Shigeo Takahara (1908–1994), a Japanese otolaryngologist first reported this new disease. He had examined a patient with an oral ulcer. He had spread hydrogen peroxide on the diseased part, but oxygen was not generated due to the lack of catalase. The Genetic Testing Registry (GTR) provides information about the genetic tests for this condition. The intended audience for the GTR is health care providers and researchers. Patients and consumers with specific questions about a genetic test should contact a health care provider or the genetics professional. Many clinical conditions may have similar signs and symptoms. People’s healthcare provider may perform additional tests to rule out other clinical conditions to arrive at a definitive diagnosis. There is no cure for Acatalasia since it is a genetic condition. The treatment is usually given to manage the signs and symptoms and any complications that develop. The most serious of the effects of Acatalasia is oral gangrene. That is progressive and demands immediate medical attention by the proper specialist. Prevention: Currently, Acatalasia may not be preventable, since it is a genetic disorder. 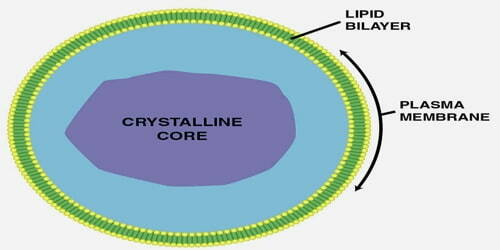 It also focuses on the novel agents and methods that can be employed to prevent oxidative stress and associated diseases. The authors first review the most recent data on the basic mechanisms of oxidative stress. Genetic testing of the expecting parents (and related family members) and prenatal diagnosis (molecular testing of the fetus during pregnancy) may help in understanding the risks better during pregnancy. If there is a family history of the condition, then genetic counseling will help assess risks, before planning for a child. Surgical drainage may be sufficient, although in some instances the capsule needs to be resected to prevent re-accumulation.